ROCKY MOUNT, NORTH CAROLINA – North Carolina Wesleyan College took the American College Health Association’s Healthy Campus Pledge and is now considered a Healthy Campus 2020 Partner. 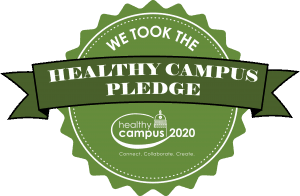 This pledge demonstrates a campus’ commitment toward achieving the Healthy Campus 2020 goals and objectives. NC Wesleyan has joined a growing group of diverse, motivated institutions and organizations working every day to move campuses across our nation toward better health. Healthy Campus 2020 is the companion framework to Healthy People 2020, the federal government’s health promotion and disease prevention initiative for achieving better health across the United States. Healthy Campus 2020 provides a framework for improving the overall health status on campuses nationwide. Strategies extend beyond traditional interventions of education, diagnosis, treatment and healthcare at clinical levels. Wesleyan is working to embed health into all aspects of the campus culture, across administration, operations and academics. 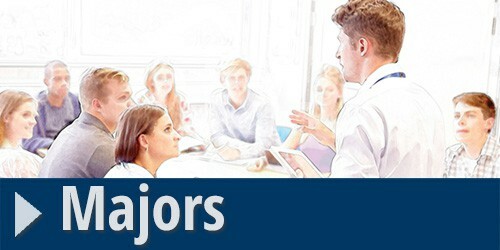 Becoming a Healthy Campus Partner reflects North Carolina Wesleyan College’s commitment to health and well-being while joining the national movement to create healthier campuses. Wesleyan has been working on Healthy Campus goals and objectives since April 2018. Since that time, they have worked to increase the number of students receiving health education services and to improve access to immunizations, such as the flu shot, to help prevent illness on campus. 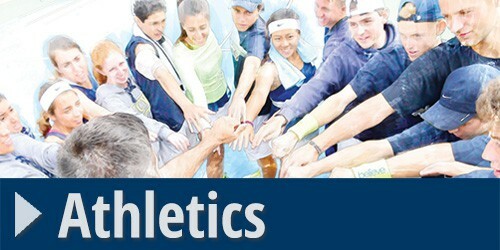 For more information or to get involved, please visit ncwc.edu/bishop-life/resources/health-services.